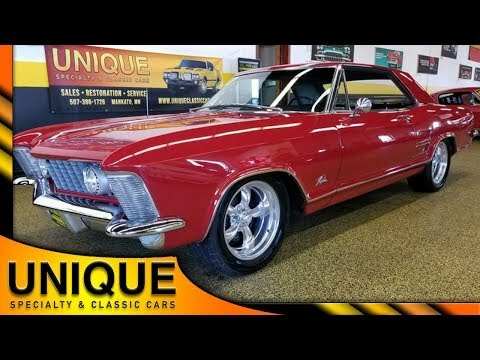 1963 Buick Riviera, #'s matching JW code 425 V8, ONLY 2,601 built! 1963 Buick Riviera is the original color, Grenada Red, and the black leather interior. This particular vehicle has its original, numbers matching JW Code 425 V8! ONLY 2,601 of these were built with this bigger, more powerful engine! The other 37,399 63 Rivieras were built with the less powerful 401 V8, Riding on aftermarket American Racing aluminum wheels with good rubber. Very straight and solid car. Bucket seats and center console. Power steering and power brakes. Door cards, carpet, and headliner are all in great shape. Easy starting and running Riviera.